Keep your Apple Watch charged and ready for the day's adventure. 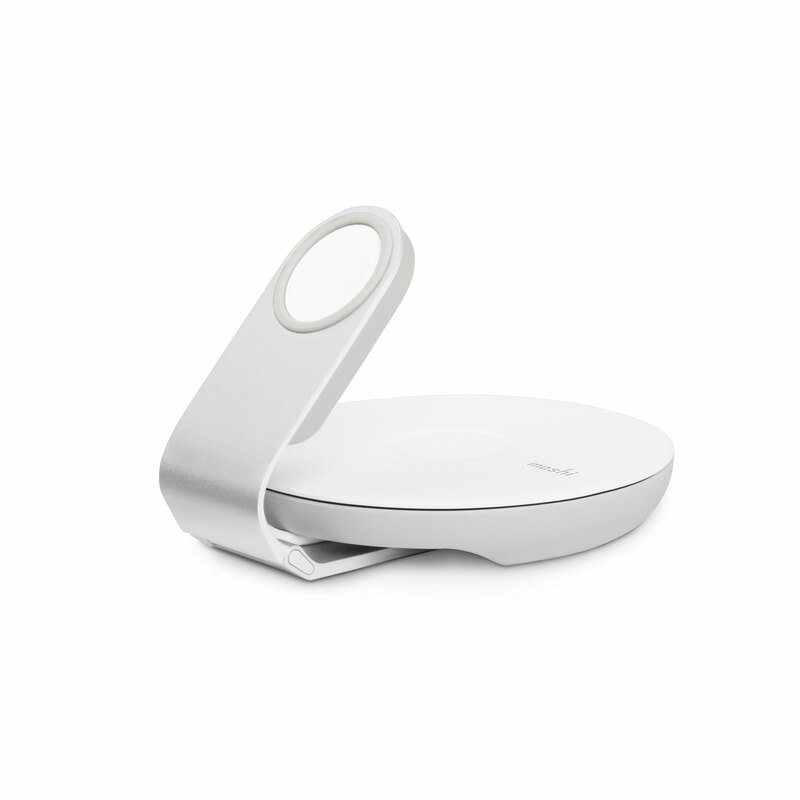 Its folding design is compact and als supports Apple's Night Stand mode. Moshi's Travel Stand for Apple Watch is a slim and compact charging solution for travelers. 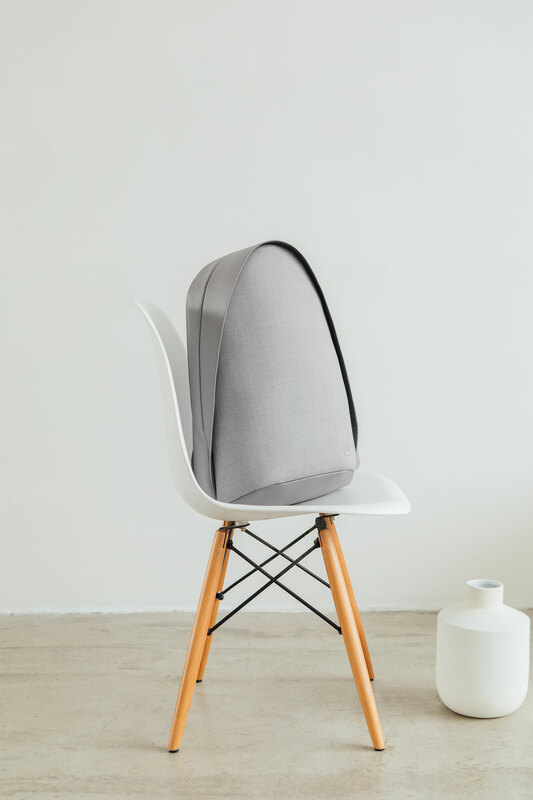 The integrated cord storage compartment neatly manages the charging cable to your desired length, and conveniently wraps up your cable when going on a trip. Simply plug in your Apple Watch magnetic charging disc and you're set to go, there's no need to remove the cord ever again. 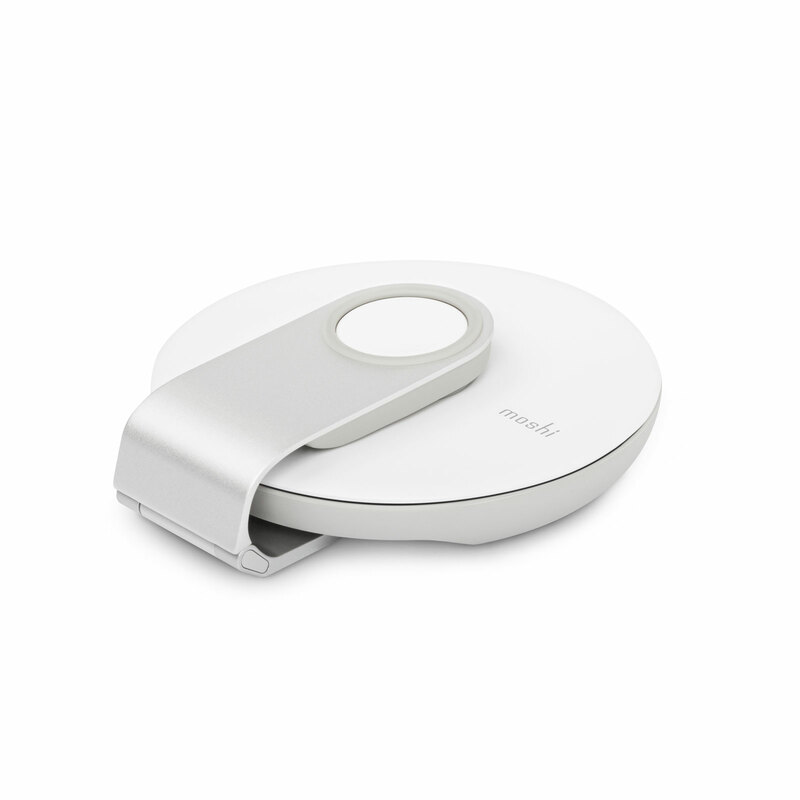 The aluminum hinge can be adjusted to support your Apple Watch in Nightstand mode, and folds flat for enhanced portability. Lightweight and stylish, Moshi's Travel Stand is the ideal Apple Watch charging stand for journeys both short and long. 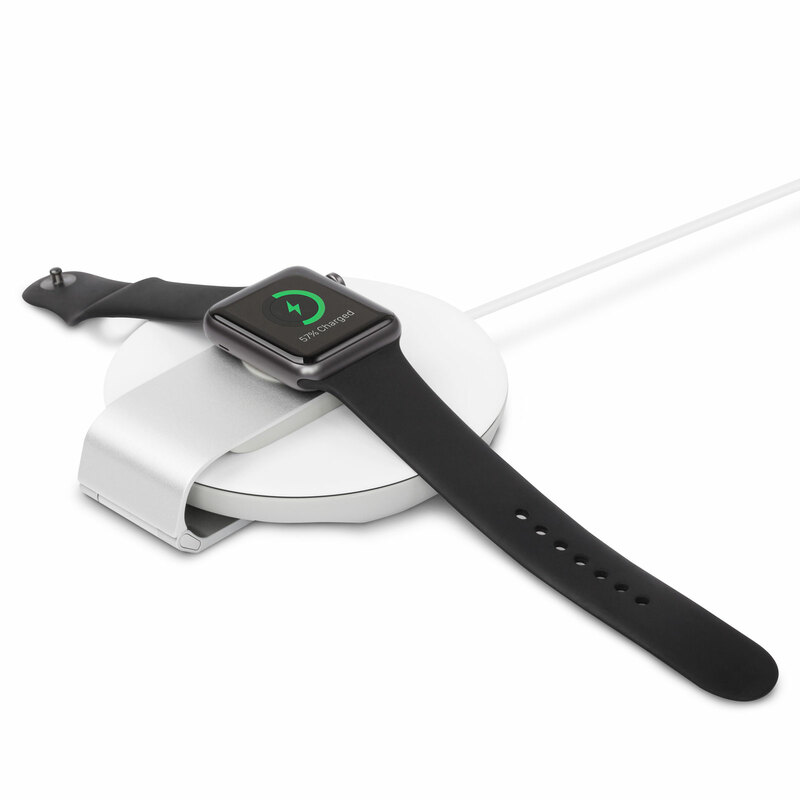 Compact Apple Watch charging stand ideal for travelers. 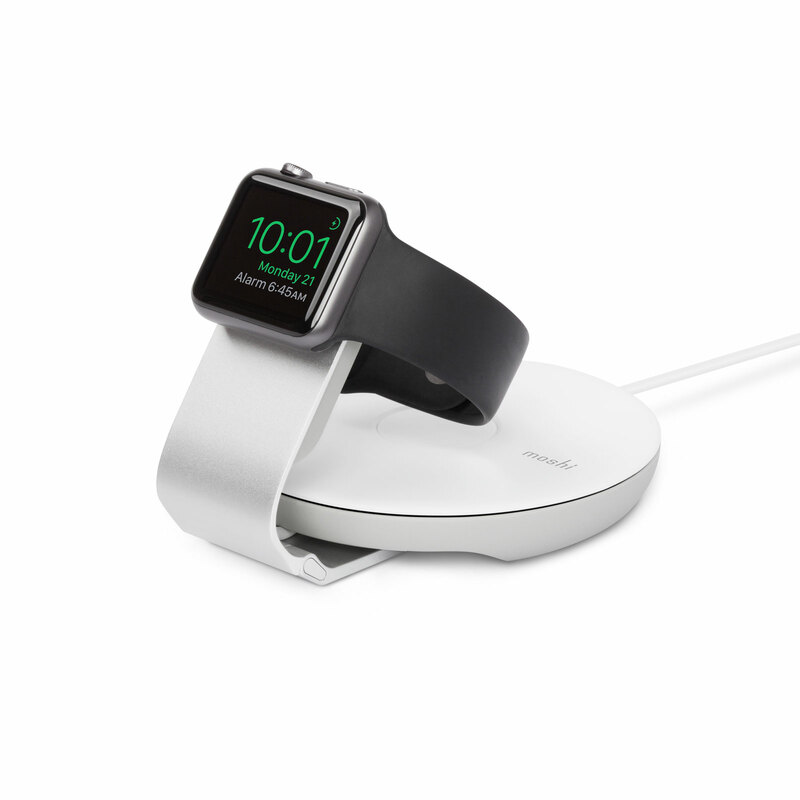 Supports Apple Watch Nightstand mode. 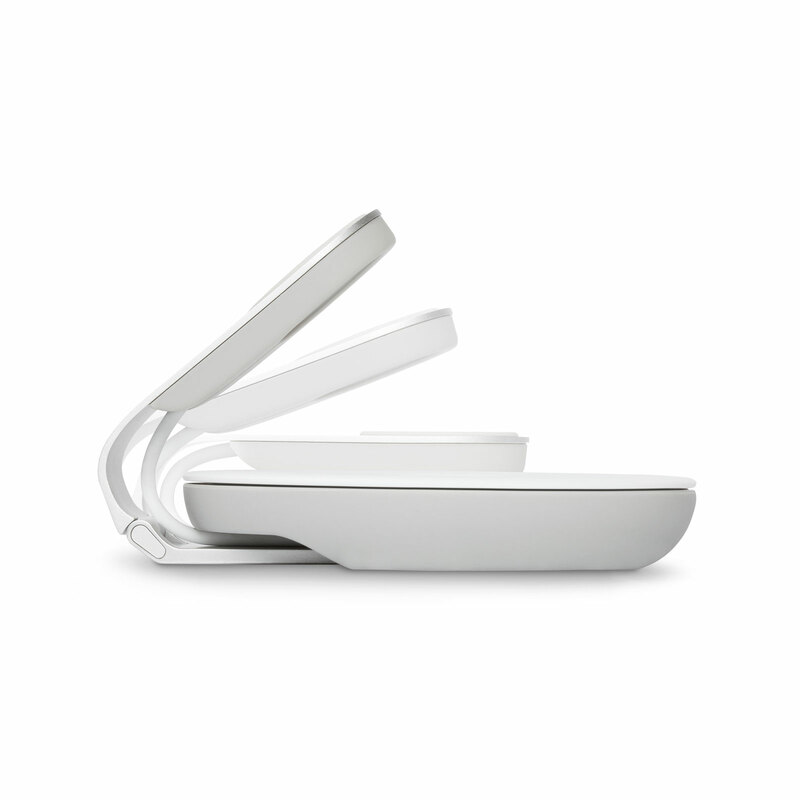 Aluminum hinge and arm for extended durability. Compatible with all Apple Watch sizes (38 mm and 42 mm). Compatible with all Apple Watch band styles.